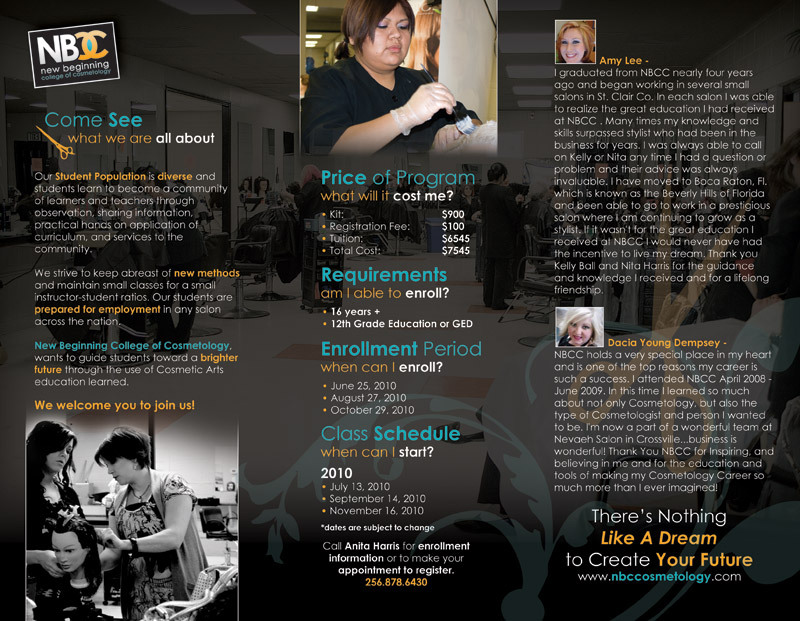 New Beginning College of Cosmetology is a local college that is dedicated to providing the best hands-on experience for students in training, and they needed a brochure to get the word out. Full of information about classes, pricing, requirements, and fees, NBCC's brochure was an elegantly modern brochure that let the students know that they weren't the typical college. The outside of NBCC's brochure. 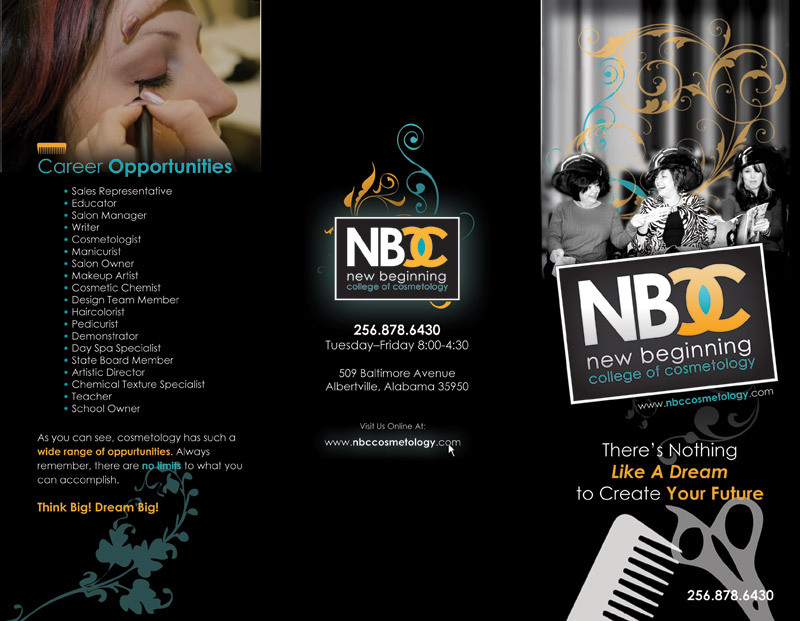 The inside of NBCC's brochure.